I just released an updated version of the Maker Project Canvas (v2). Improvements were made to the Form section. 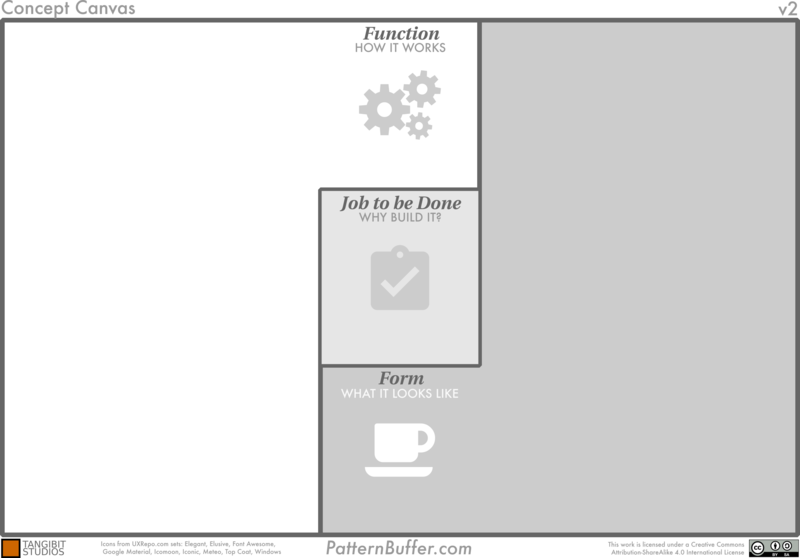 In addition, a Concept Canvas for brainstorming has been introduced. It only has the high level sections (Goal, Form, Function) of the full canvas. Download the Concept and Full canvas PDF files from Github. Download the Maker Project Canvas Workbook from here. A few articles can be found on Medium. I hope you find it a useful tool. I would love to see how you use it on projects! 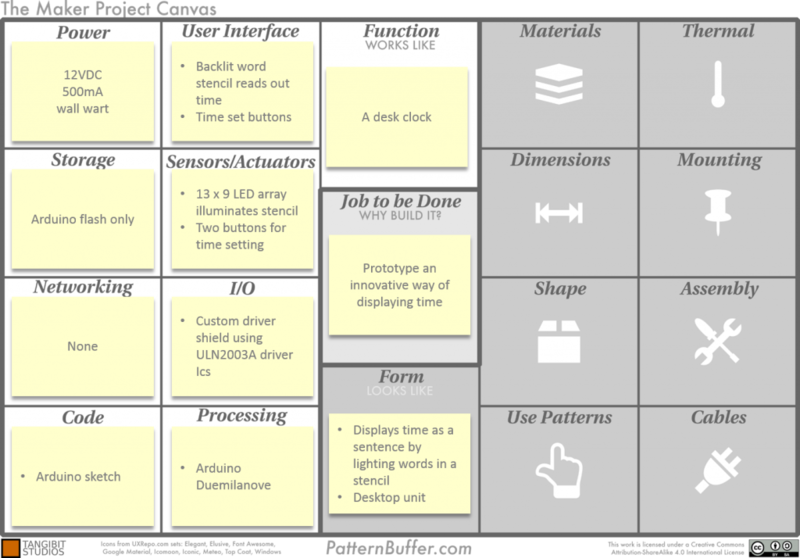 This article is a case study of the popular Word Clock project using the Maker Project Canvas. We’ll start with a brief background on the project. Then we’ll apply the Maker Project Canvas to understand its components. 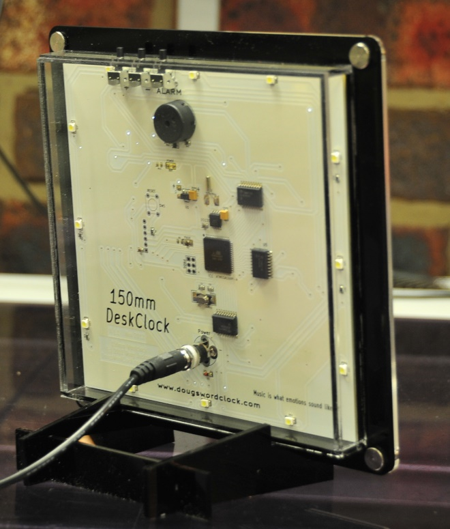 The Word Clock project first appeared on Instructables in an article by Doug Jackson (drj113) based around a PIC microcontroller. This case study will follow his second article which is based on an Arduino. Q: What was the motivation for the Word Clock project (the “Why)? My motivation in creating the WordClock came about when I saw an Hack-A-Day article that mentioned the QClock2. I really loved the clock, and decided to make my own version of it. 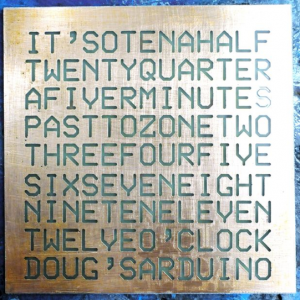 I was also aware of a screen saver for Linux that displayed the time in words, so I combined those ideas. I have always been an educator (being a part time teacher for 15 years), and it just made sense to roll the Instructables article. I built on the concept with three articles – firstly with a PIC micro, then with an Arduino (because there was a contest), and finally, with a massively updated face design. One of the things that has been important to me is not to simply duplicate the Qclock2, but to develop that idea and provide others with a vehicle that they can use themselves. I have inspired a number of Kickstarter and Instructables projects – all of whom credited my code, so I couldn’t be happier with the success of my original vision. Q: What gave you the idea for the stencil? The stencil was originally a piece of copper clad PCB – I had already been making lots of amateur radio and other projects using my own hand etched boards, and it made sense to use PC to create the face. As the project became more and more successfully, people wanted me to make clocks for them, so I experimented with using signwriting vinyl, which was a good outcome. Eventually, I purchased my own laser cutter and experimented with making faces using heavy card – and that’s where I am now. Q: What are some of the biggest challenges you face on projects and what advice can you give for handling them? The biggest challenges I face on projects are two fold; 1. to remain open to ideas that will allow the project to be simplified, and 2. to find time to devote to the project, and 3( yes… I know) to correctly document the project as it is being developed. The importance of allowing ideas to develop can’t be over emphasised. 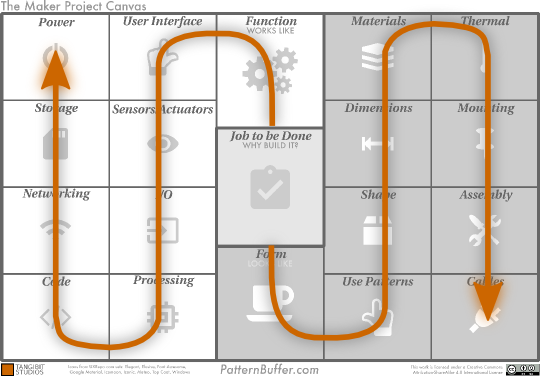 Project development is iterative – as I learn new things, I discover better ways of working. 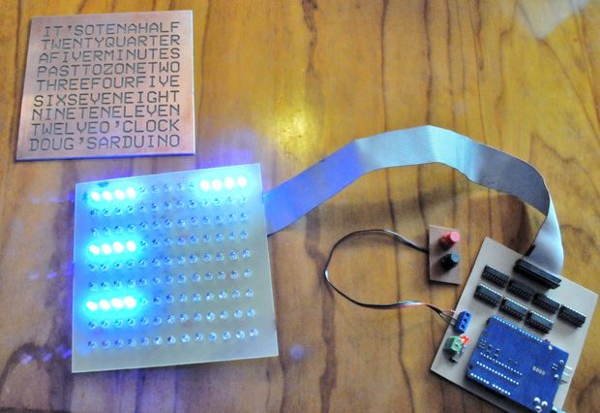 A case in point was winning the Instructables contest that got me a couple of LED matrix game boards (Meggy Jr RGB’s) – that allowed me to see a better way of programming the Arduino (using a 6 pin programing cable) – so I rolled that into my design. 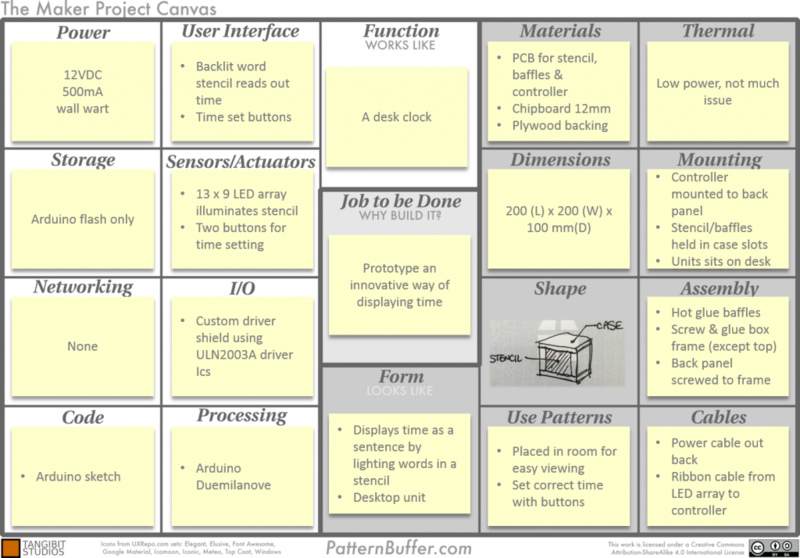 To be completely honest, the current design is built on a double sided, surface mount board, using an AtMegs165 as the CPU, and with a modified Arduino IDE to allow that chip to work. A far cry from 24 Transistors attached to a PIC micro. 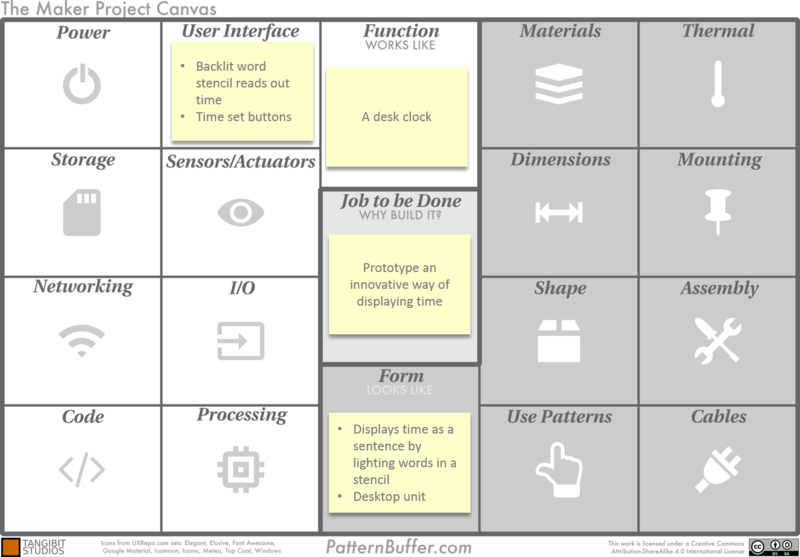 Time is just a management issue – I devote time to my projects, and try to break development down into manageable chunks. I’m fortunate that my family understands in that respect. 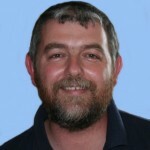 Documentation – I can’t emphasize how critical that is. Without it, I forget where I have been. It’s disappointing to see the number of times I have rediscovered something. Q: What is the status of the project today? Today, I have a small business running – I make and export clocks worldwide, and have in the past employed 3 part time people to help ‘turn the wheels’ – Sadly, I am fighting a copyright infringement where a Chinese company has taken my Instructables project, and core from one of my kits (including the copyright notice in the firmware). To say that is disappointing is an understatement, but at least I have people still believing in what I do 🙂 Copyright is a complex area, and while I can easily stop sales here in Australia, I have to hire legal representation in the USA – And that’s nigh on impossible for a single person running a hobby. …Now let’s start using the Maker Project Canvas to analyze the Word Clock project! The canvas is a tool to help you plan how your project will achieve its goal. 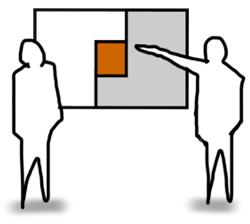 You may find what works best is starting with a section covering an aspect you have been thinking about. Taking that small step may help overcome inertia to thinking about the other aspects. With the high level description of the project completed, let’s move onto the details of how the function (“A desk clock”) will get implemented. 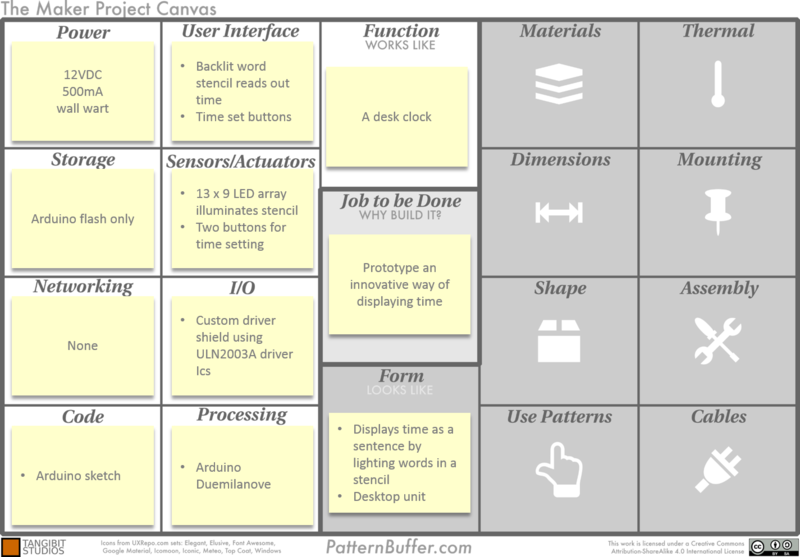 The arrow path suggested earlier starts with the User Interface and then drills down into the hardware to make it happen. The Sensors/Actuators section captures the hardware that supports the User Interface. 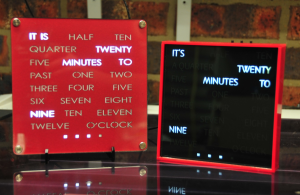 In the Word Clock project, the LED display board that illuminates the word stencil can be considered the actuator providing outputs. The sensors are the two buttons used to give the inputs to command setting the time. The interface to the sensors and actuators is described in the I/O section. 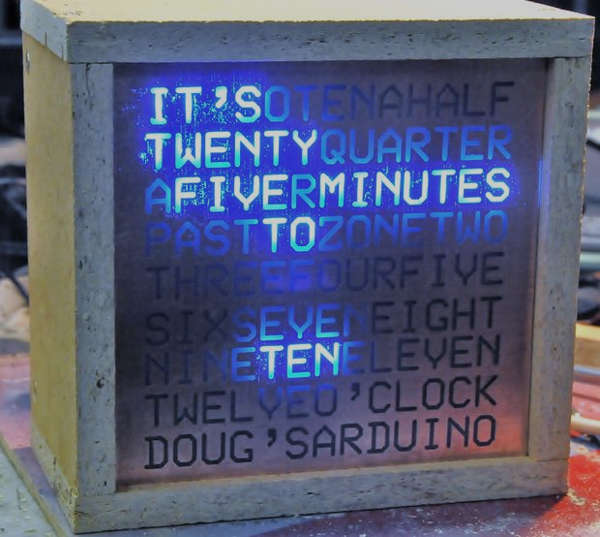 The Word Clock used a custom built Arduino shield (the controller) that has the LED drivers and connectors for the LED display, power, and button board. The Arduino mounts onto the controller board as well, since after all, this is the Arduino version of the Word Clock. The Word Clock project uses an Arduino sketch to implement the clock function in the hardware. Note the use of the #define statement to make the code more readable. 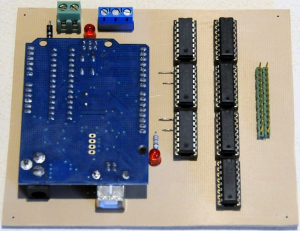 The remaining sections are straightforward: no networking is required, the internal flash on the Arduino is sufficient for storage, and power is provided by a “wall wart”. 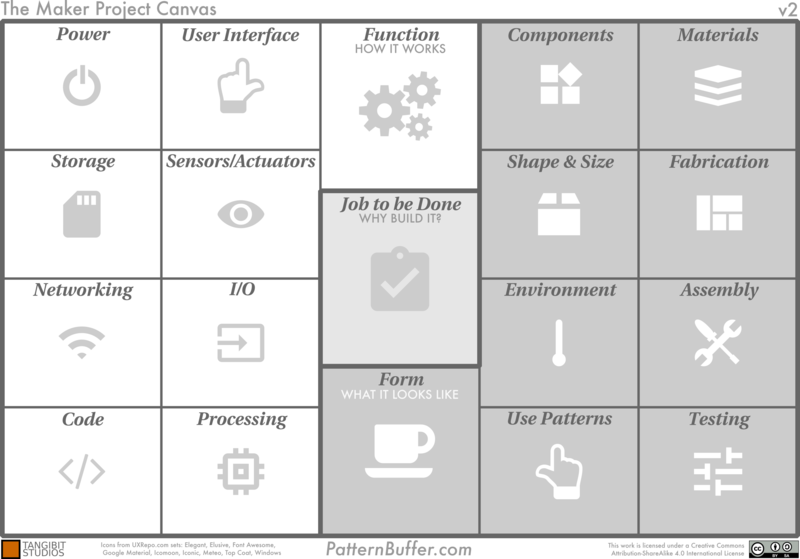 The Use Patterns section addresses how the project will be used. In the case of a clock, the primary user interaction is reading the time displayed. Less frequently, the user sets the time. If the project had an alarm, there would be patterns of setting and dismissing the alarm. The Shape section describes the overall physical form of the project. Shape is a visual language, so a simple sketch is the best way to communicate the idea. 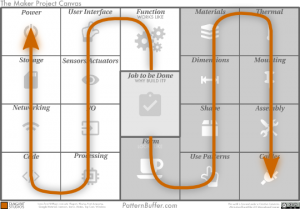 The Dimensions section is the home for describing the key dimensions of the project. 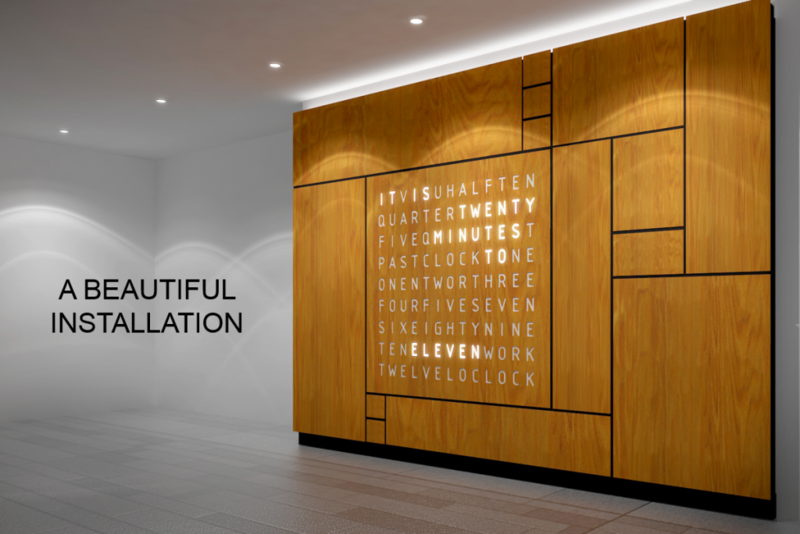 The Word Clock is housed in a rectangular box that is described in length, width, and depth. 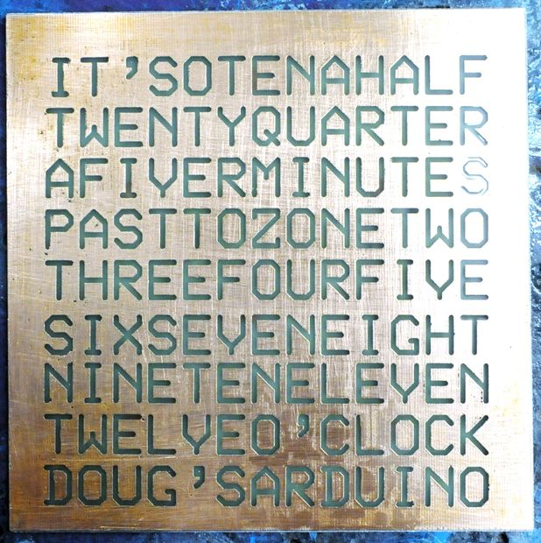 The Word Clock uses etched printed circuit boards for the word stencil, controller, and display boards. In order to keep stray light from unintentionally illuminating neighboring words in the stencil, baffles were constructed on the backside of the stencil using PCB pieces. The frame for the housing was constructed on 12mm chipboard and the back panel was made from thin plywood. Use the Material section to capture this information. The primary heat sources in the project are the Arduino, LED drivers, and the LEDs. All of these are relatively low power and no thermal issues were anticipated, as recorded in the Thermal section. The Mounting section describes both how the project and its parts are mounted. 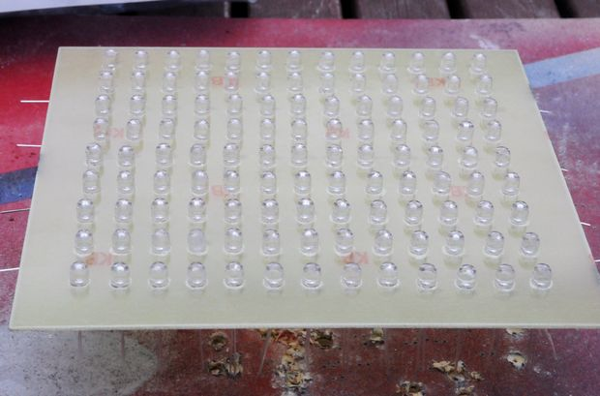 The word stencil and LED display board are held in grooves cut in the top and bottom pieces of the frame. The controller board is mounted to the back panel with screws and some hardware to act as standoffs. Two cleats were placed on the inside of the frame vertical members to provide a mounting surface for the back panel. The frame itself was glued and screwed together, except for the top piece which was only screwed. This allowed it to be removed to have access to the word stencil and LED display- useful for trying new configurations later. 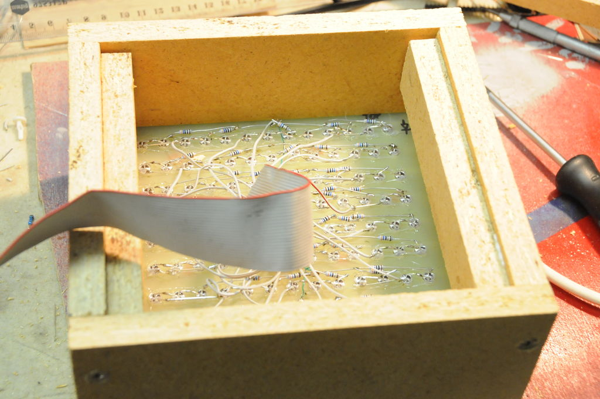 The Assembly section contains notes on how the components are put together. The final section describes how Cables will be handled. The Word Clock has an internal ribbon cable between the controller and LED display board. The power cable exits through a hole in the back panel. 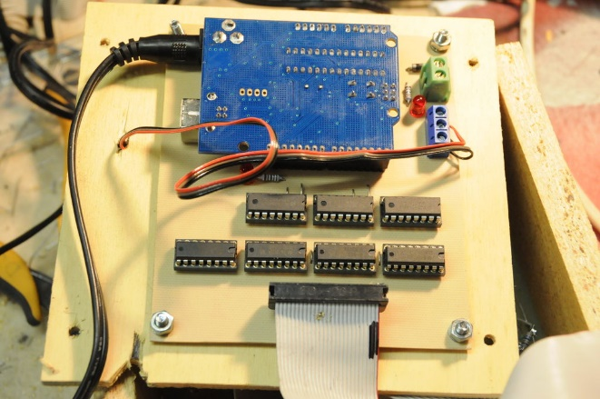 There is also wiring between the controller board and the time set button board. Doug now offers both kits and completed Word Clocks through his web site. It is well worth a look- it is inspiring to see how an innovative project went from the early form described above into their current form. I’d like to thank Doug Jackson for his help in putting this article together. He’s a true Maker.